Showing results for tags 'medical model'. Please note that any references to “Imag3D” in this tutorial should be replaced with “democratiz3D” In this tutorial we will discuss how to share, sell, organize, and reprocess 3D printable medical models you make using the free online democratiz3D service from embodi3D. 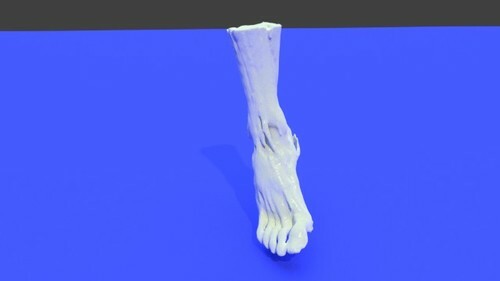 democratiz3D is a powerful tool that automatically converts a medical CT scan into a 3D printable file in minutes with minimal user input. It is no longer necessary to master complicated desktop software and spend hours manually segmenting to create a 3D printable model. Learn how to make high quality medical 3D models with democratiz3D by following my introductory guide to creating medical 3D printing files and my more advanced 3D printing file processing tutorial. Once you create your medical masterpiece, you can share, sell, organize, or tweak your model to make it perfect. This tutorial will show you how. Resubmit your CT Scan for Reprocessing into Bone STL If you are trying to learn the basics of how to convert CT scans into 3D printable STL models, please see my earlier tutorials on basic creation of 3D printable models and more advanced multiprocessing. If you are not 100% satisfied with the quality of your STL model, you can resubmit the input scan file for repeat processing. To do this, go to the page for your input NRRD file. IMPORTANT: this is the NRRD file you originally uploaded to the website, NOT the STL file that was generated for you by the online service. Since both the original NRRD file and the processed STL file have similar titles, you can tell the difference by noting that the NRRD file you uploaded won't have any thumbnails, Figure 1. In most cases, the processed file will have the word "processed" appended to the file name. Figure 1: Choose the original NRRD file, not the generated STL file. You can find your files underneath your profile, as shown in Figure 2. That will show you your most recent activity, including recently uploaded files. Figure 2: Finding your files under your profile. If you uploaded the file long ago or contribute a lot of content to the site, your uploaded NRRD file may not be among the first content item shown. You can search specifically for your files by clicking on See My Activity under your Profile, and selecting Files from the left hand now bar, as shown in Figures 3 and 4. Figure 3: Showing all your activity. Figure 4: Showing the files you own. Once you have found your original NRRD file, open the file page and select File Actions on the lower left-hand corner, as shown in Figure 5. Choose Edit Details as shown in Figure 6. Figure 5: File Actions – start making changes to your file Figure 6: Edit Details Scroll down until you reach the democratiz3D Processing section. Make sure that the democratiz3D Processing slider is turned ON. Then, make whatever adjustments you want to the processing parameters Threshold and Quality, as shown in Figure 7. Threshold is the value in Hounsfield units to use when performing the initial segmentation. Quality is a measure of the number of polygons in the output mesh. Low quality is quick to process and generates a small output file. Low quality is suitable for small and geometrically simple structures, such as a patella or single bone. High quality takes longer to process and produces a very large output file, sometimes with millions of polygons. This is useful for very large structures or complex anatomy, such as a model of an entire spine where you wish to capture every crack and crevice of the spine. Medium quality is a good balance and suitable in most cases. Figure 7: Changing the processing parameters. When you're happy with your parameter choices, click Save. The file will now be submitted for reprocessing. In 5 to 15 minutes you should receive an email saying that your file is ready. From this NRRD file, an entirely new STL file will be created using your updated parameters and saved under your account. Sharing your 3D Printing File on embodi3D.com Sharing your file with the embodi3D community is easy. You can quickly share the file by toggling the privacy setting on the file page underneath the File Information box on the lower right, as shown in Figure 8. If this setting says "Shared," then your file is visible and available for download by registered members of the community. If you wish to have more detailed control over how your file is shared, you can edit your file details by clicking on the File Actions button on the lower left-hand side of the file page, also shown in Figure 8. Click on the Edit Details menu item. This will bring you to the file editing page which will allow you to change the Privacy setting (shared versus private), License Type (several Creative Commons and a generic paid file license are available), and file Type (free versus paid). These are shown in detail in Figure 9. Click Save to save your settings. Figure 8: Quick sharing your file, and the File Actions button Figure 9: Setting the file type, privacy, and license type for your file. Sell your Biomedical 3D Printing File and Generate Income If you would like to sell your file and charge a fee for each download, you may do so by making your file a Paid File. If you have a specialized model that there is some demand for, you can generate income by selling your file in the marketplace. From the Edit Details page under File Actions, as shown in Figure 8, scroll down until you see Type. Choose Paid for the Type. Choose the price you wish to sell your file for in the Price field. This is in US dollars. Buyers will use PayPal to purchase the file where they can pay with Paypal funds or credit card. Make sure that the privacy setting is set to Shared. If you list your file for sale but keep it private and invisible to members, you won't sell anything. Finally, make sure you choose an appropriate license for users who will download your file. The General Paid File License is appropriate and most instances, but you have the option to include a customized license if you wish. This is shown in Figure 10. Figure 10: Configuring settings to sell your file The General Paid File License contains provisions appropriate for most sellers. It tells the purchaser of your file that they can download your file and create a single 3D print, but they can't resell your file or make more than one print without paying you additional license fees. All purchasers must agree to the license prior to download. If you wish to have your own customized license terms, you can select customized license and specify your terms in the description of the file. Organize your file by moving it to a new category If you share your file, you should move the file into an appropriate file category to allow people to find it easily. This is quite simple to do. From the file page, select File Actions and choose the Move item, as shown in Figure 11. You will be able to choose any of the file categories. Choose the one that best fits your particular file. Figure 11: Moving your file to a new category. That's it! 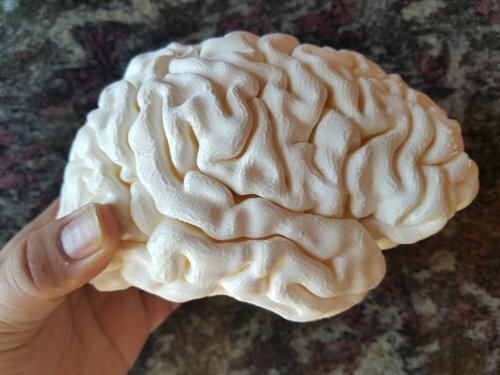 Now you can share your amazing 3D printable medical models with the world. This 3D printable STL file of the splenic artery shows three aneurysms. This model was created from a CT scan and used in pre-surgical testing. It accompanies the blog article Saving a Spleen with 3D Printing: Pre-Surgical Planning with Medical Models make "Impossible" Surgeries Possible. The file is distributed under the Attribution-NonCommercial-NoDerivs license. If you wish to use this file for commercial purposes, please contact the author.